The Alberta Real Estate Association (AREA) is the professional provincial body that represents the interests and concerns of more than 10,000 Alberta REALTORS®, from the 10 local real estate Board/Associations. They provide strategic leadership and advance the Alberta real estate profession through member-centric services, advocacy and professional development. Working on changes to the Condominium Property Act Regulations is one of their current mandates. When an owner requests a printed copy, the regulations should set a maximum fee of 25 cents per printed page plus postage/courier fee (if required) that aligns with the actual cost. Establishing a maximum fee for expedited/rush provision of documents. Condominium owners should have a basic right to documents pertaining to their property. It is the property management companies basic administrative responsibility to keep records and provide document custodianship for the condominium corporation that hires them. These companies must have adequate resources (e.g. IT infrastructure and/or staffing) to ensure the condominium documents and records are properly maintained and readily retrievable when required. As such, the argument that there are additional costs associated with producing these documents at the time of request - costs often in the hundreds of dollars - is indefensible. Requiring owners to pay for electronic access to their condominium documents is, in effect, double charging for the same service. Management companies have long exploited the need for condominium documents - quoting low management rates to secure contracts with condominium corporations and compensating by levying high document fees when they're requested. To level the playing field and help condominium corporations make informed decisions when hiring property management companies, the cost of document collection and maintenance should be included upfront in monthly management rates. Prohibiting document access fees through regulation would facilitate this, requiring property management companies to be more transparent with their costs and thus create a contract bidding process that is fairer to both management companies and to Albertans. Considering intended use of condominium documents as a factor in determining whether fees should be charged is impractical. Management companies have argued that condominium sales are private transactions and that documents provided for this purpose somehow impose costs they believe they shouldn't have to bear. But it is the the condominium owner's rights to have access to their property's documents specified in the Condominium Property Amendment Act's regulations and how they intend to use them is therefore inconsequential. In addition to this, differentiating between the intended use of requested condominium documents - to sell a condo unit or other - as a mechanism for determining fees is unenforceable and thus impractical. AREA opposes the recommendation for a dispute tribunal to arbitrate when management companies are accused of charging unreasonable fees. Putting the burden of policing management companies on consumers is an unfair and inefficient solution to a problem easily resolved by eliminating condominium document fees altogether. The cost of a tribunal coupled with the time and hassle of the process - without any guarantee of a favorable resolution - will deter owners from pursuing complaints and thus, reinforce the status quo. Charging excessive fees for condo documents is a systematic issue that requires a regulatory resolution. We reiterate that condo document provision is inherent to a management company's responsibilities making any solution, other than eliminating fees, irrelevant. AREA estimates that, in 2018, Calgarians and Edmontonians alone will pay nearly $3.2 million to management companies for property-related documents. That is $3.2 million for services condominium owners have already paid for in their monthly fees. This is unacceptable. Most Albertans live in Calgary and Edmonton, where housing is deemed seriously and moderately unaffordable and where condominiums present an important, more economical alternative for homeownership. According to the Calgary Real Estate Board, the average price for a detached house in Calgary in January 2018 was $545,834, while the corresponding price for a unit within a high or low-rise condominium was $298,942. 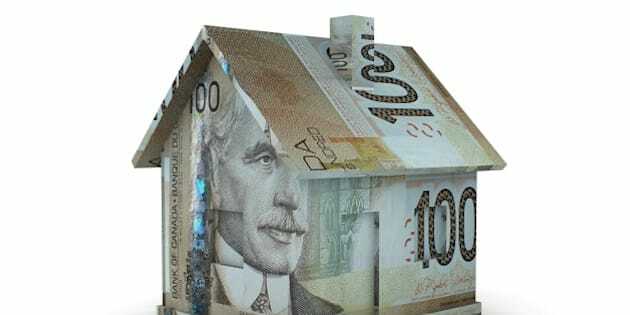 Furthermore, the annual household total income for condominium owners reported by Statistics Canada was more than $33,000 below that of other homeowners in 2011. Charging fees for condominium documents adds unwarranted costs to condominium resale transactions and creates an unnecessary barrier to the mobility of middle-income Albertans. As such, AREA's position strongly supports removing fees for electronic copies of condo documents and setting appropriate maximum fees for printed copies and estoppel certificates, as a measure to protect Albertans from gratuitous charges. We encourage Service Alberta to make the recommended updates in the spirit of modernizing condominium legislation to better protect condominium owners. Please contact your MLA to share why condo document fees are an unnecessary burden on consumers. Find your MLA here.